This powerful,precise and tireless cordless lawn mower can handle even the most demanding lawn care job. High performance lithium-ion battery in conjunction with the brush less EC motor,the RMA 370 delivers a powerful performance which can mow lawns up to 300m2. Weighing just 13kg the cordless mower can be transported with a minimum of effort. 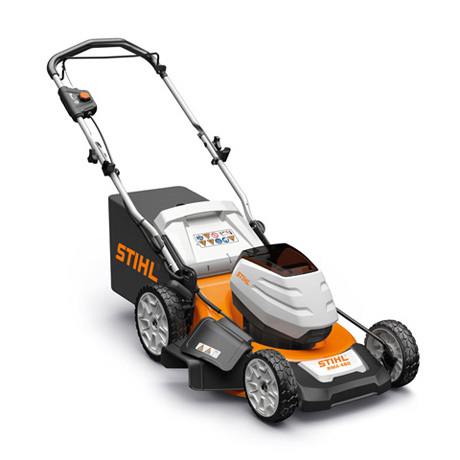 The Stihl RMA460 provides complete freedom of movement and optimal reach to the most difficult corners of the lawn. 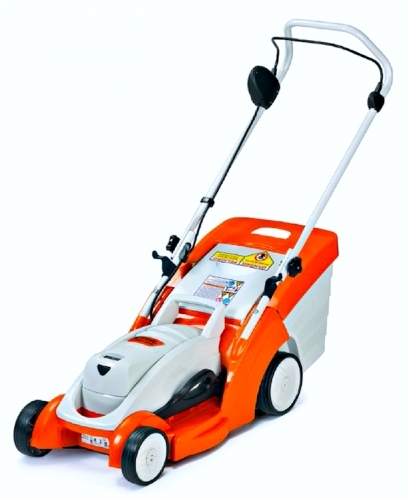 It is a lightweight and manoeuvable battery lawn mower with it's seven stage cutting height adjustment, 60 Litre grass catcher and mulching option you will have thicker and healthier lawns. 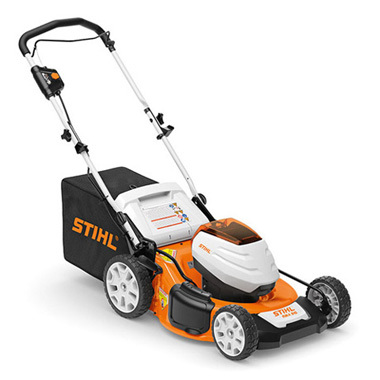 The Stihl RMA510 is a robust cordless lawnmower for working on larger areas of lawn, 7 level cut height adjustment, 51 cm cut width, convenient side ejection when mowing and mulching, the RMA510 also has a place holder for its 36 volt Lithium-ion Battery as well as a spare battery slot for those bigger jobs.